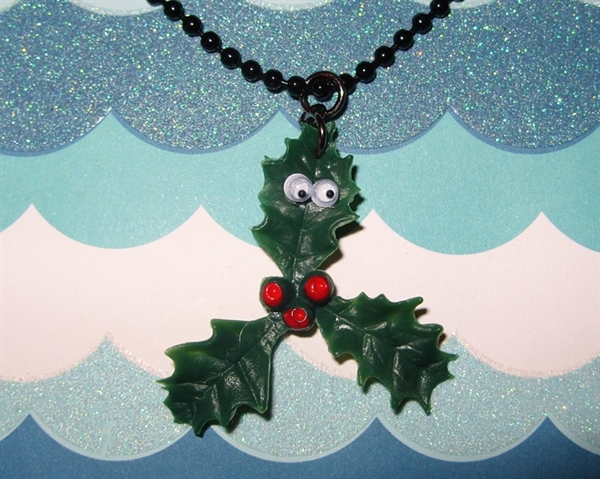 Today's feature is based upon a wonderful and quirky company, Randomeyes Boutique! Randomeyes Boutique jewellery and accessories share a uniquely quirky twist - they are random everyday objects...with kawaii inspired googly eyes! I'm a big fan of all things cute and kitsch, and coming across this adorable selection of jewellery and accessories i was completely within my element. The website layout in general is presented clearly with both text and images that regard what they create, their concept and also what's new on their site! I find the detailing alone of the products so realistic, but do remember you can't eat them! The products are very unique and eye-catching with affordable prices perfect for a Christmas gift too. I was able to have a very wonderful interview with the owner herself; here are her thoughts and it was such a pleasure to hear more about herself and Randomeyes Boutique! A) Japanese culture has played a significant role in the development of the Randomeyes Boutique style. I've always loved kawaii characters ie. 'things' with faces, and this undoubtedly influences my designs. However, I've also battled with mental health problems for the majority of my life, so having a creative outlet has been a natural progression for me. I often find social interaction challenging...so giving random objects their own 'personalities' seemed like the obvious thing to do! 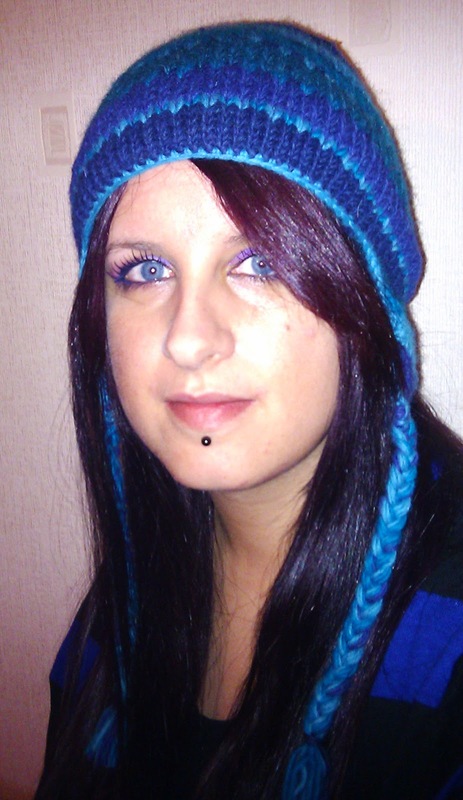 I actually have a section of my website dedicated to the mental health charity Mind (http://randomeyesboutique.co.uk/category/2229-randomeyes-boutique-charity.aspx) to try and raise awareness, and funds, for this very worthy cause. A) I get a lot of satisfaction from the knowledge that there are people walking around wearing something I've designed and made myself. It's a real confidence boost. I also enjoy seeing the look on people's faces when they see my products for the first time, like at craft fairs and other promotional events. A lot of people do a double-take as they're walking past, then they stop to take a closer look and soon start laughing, as what they're seeing is so unexpected! Knowing I've brought a bit of humour to someone's day is priceless. A) I think my proudest moment so far has got to be when I was invited to launch Randomeyes Boutique as an official 'brand' at the Clothes Show Live 2010. Up until this point it had just been a hobby for me, so to then have a stall amongst some of the most famous brands around at such a high profile event was amazing! It was a great opportunity to meet my customers face-to-face too, and I received a lot of really positive feedback. A) I would like to get Randomeyes Boutique products into a few more 'brick and mortar' shops, but I will always steer clear of high street chains in favour of the smaller, independent boutiques. Somewhere along the line I would like to create a few character graphics based around my charms and put them onto stationery, t-shirts and greetings cards etc. That's always appealed to me. It's just finding the time to actually do it that's tricky! A) You need to love what you do, or there's no point in doing it! Only listen to criticism when it's constructive, and don't let people's opinions get you down. For every person who hates your products, there may be 10 who love them, so they're the ones you should focus on. You will never be able to please everybody, so don't try to cater for every possible market - find your niche and aim to dominate it. Make sure there's something unique about your products that make them stand out from the competition. If you're passionate about something, just go for it! 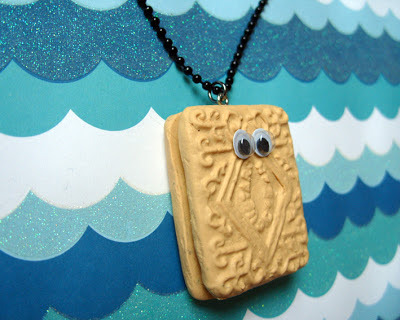 A) I have several items I really like, but I think my favourite are the biscuit necklaces. I couldn't decide between them though! I make each of the biscuits by hand and they're super-realistic, so it's torture being surrounded by them but not be able to eat them! I've lost count of the amount of times I've been asked 'Are those biscuits real?'! It's a joy to feature such a remarkable business, as well as they donate to a charity close to my heart using their hand crafted products, you can see how much time and dedication they have put in to each and every piece of jewellery and accessory! This is one of my favourite item's from their website especially for the Christmas season coming up! I wish you all the greatest success with your business Karen! I'm sure you will go very far. It really was an honour to feature you! If you could choose any item off Randomeyes Boutique to be your favourite..Which would it be? Let me know in the comments below!